This canary-yellow reliant robin is notoriously the vehicle belonging to one of Britain's most loved fictional comedy duos - Del Boy and Rodney. 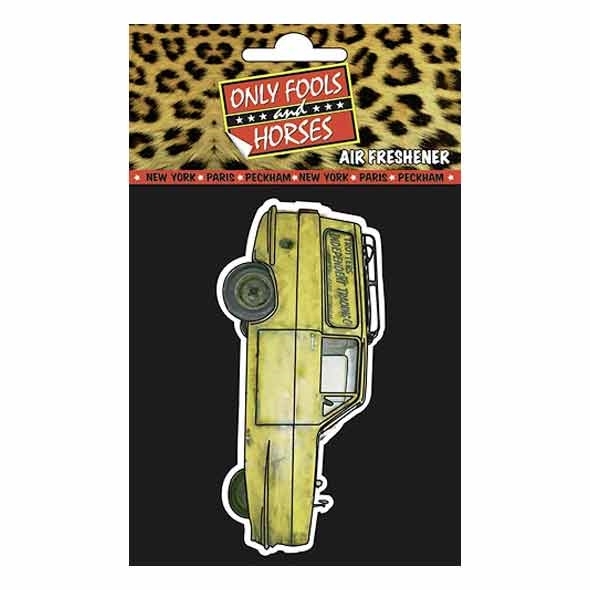 The Only Fools & Horses Van Air Freshener is a nifty little trinket, perfect to pop in the car, that will not only keep your vehicle smelling sweet but will make you chuckle as you remember some of their classic moments - chandelier anyone? 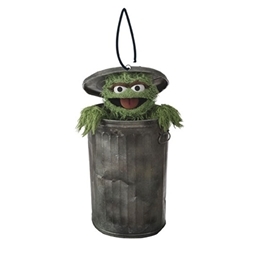 A great stocking filler or gift idea! Trotters Independent Trading is one of the most notorious fictional company names to have ever graced British television - especially because it famously adorns the bright yellow reliant robin 3-wheeled vehicle that belong to Britain's most loved comedy pairings: Del Boy & Rodney. Though we'd love to offer you a miniature plastic reliant robin, we can in fact only offer you a sweet-smelling cardboard alternative, but if you pop this cardboard air freshener in your vehicle it will bring you almost as much joy as the real thing. Sort of. In homage to the great Only Fools and Horses we've got the amazing Only Fools & Horses Van Air Freshener which is a miniature version of the reliant robin we all know and love. 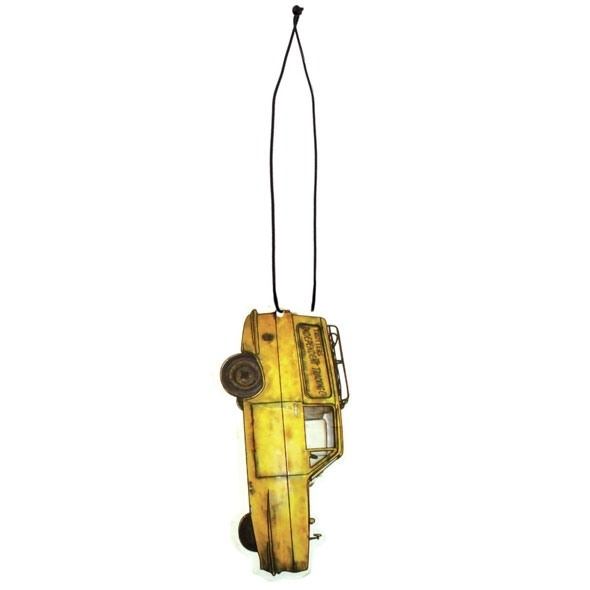 This one pops in your own car and keeps it smelling sweet at all times whilst simultaneously reminding you of your favourite Only Fools and Horses moments - chandelier anyone? 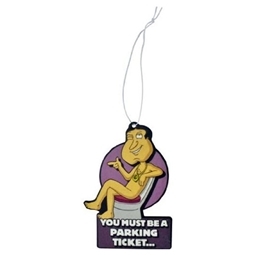 This little Only Fools and Horses Trotters Independent Trading yellow van air freshener is the perfect novelty gift for a loved one. It makes a great stocking filler and masks all manner of strong smells in your vehicle!